Bit of a late post today, but I really like this cover. 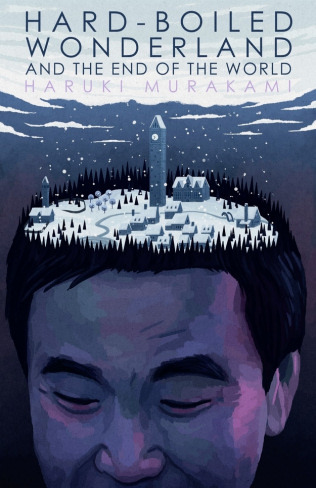 It’s for Hard-Boiled Wonderland and the End of the World by Haruki Murakami. Anyone know where you can find this exact version? Japan’s most widely-read and controversial writer, author of A Wild Sheep Chase, hurtles into the consciousness of the West with this narrative about a split-brained data processor, a deranged scientist, his shockingly undemure granddaughter, and various thugs, librarians, and subterranean monsters–not to mention Bob Dylan and Lauren Bacall. I suspected as much since I couldn’t find a copy with that cover on Amazon. It’s good to know for sure, thanks. :) I still love it!